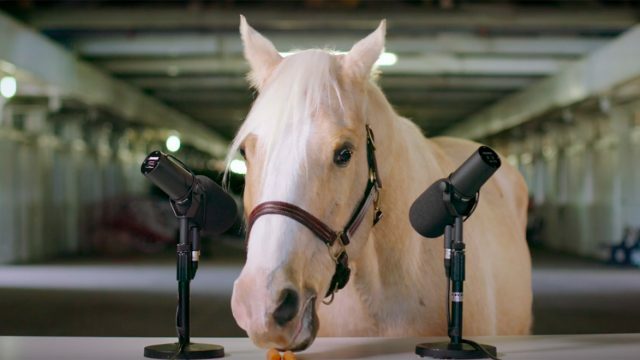 Adweek’s weeklong analysis of each broadcast network’s new fall shows continues with CBS, which overtook NBC to win last season in the 18-49 demo thanks in large part to airing Super Bowl 50 in February. A year ago, I noted that CBS entered last fall with the strongest crop of new shows among any of the broadcasters, but only two of them returned for a second season. While CBS tried to bring nontraditional viewers into the fold last fall with Supergirl (which has relocated to The CW), it's in full-on retreat mode this year, as it refuses to venture even slightly outside the lines of its well-defined brand, the most insular among the broadcasters. So, while this lineup is perfectly calibrated for CBS’ current audience, it's unlikely to bring anyone new, or younger, to the network. That's a big problem for a network with a median age of 59, according to Nielsen, which is four years higher than any other broadcaster. There’s such a disparity between the CBS audience and everyone else that I have to modify my usual approach of ranking each new fall show from worst to best. (If you’re a non-CBS viewer, you can safely skip all of the shows below.) Instead, my rankings will focus on the appeal to CBS viewers and network advertisers, which are the only groups that will take any interest in these shows. And while a pilot isn’t always the best way to judge a show’s ultimate potential, it’s often the only episode audiences watch before deciding whether to stick around or throw in the towel, especially given all the other new and returning shows fighting for attention. Also note that for the three shows that don’t premiere until after Thursday Night Football ends next month, CBS hasn’t made a final version of those episodes available yet, which could include recasting characters or other tweaks made to the original pilots that were provided to buyers after upfront presentations in May. The plot: Thirty years after Mr. Mom opened in theaters, Matt LeBlanc plays a contractor who spends more time at home raising his kids after his wife (Liza Snyder) returns to work and realizes—whoa!—that being a parent is a lot harder than he thought it was. The verdict: I’ll start off by mentioning that this pilot had to be significantly reshot after LeBlanc’s wife was recast (kudos, Jenna Fischer, for landing a get-out-of-TV-jail-free card), so there’s a remote chance that with Snyder in the mix, this show will suddenly become watchable. (The network hasn’t produced a new promo yet, which is why you’ll still see Fischer in the trailer below.) But given the new couple’s lack of chemistry at the Television Critics Association’s summer press tour, that seems highly unlikely. In its original form, Man With the Plan bears a striking resemblance to Pucks, the generic, awful sitcom that LeBlanc’s character was stuck working on in his Showtime series Episodes. Even in such a mediocre batch of new shows, this one sinks to the bottom. Is it good for your brand? CBS will have eight comedies on the air by the end of October; surely there’s a better option elsewhere. The plot: A reboot of the hit ‘80s adventure series about a Swiss Army knife-wielding genius (Lucas Til) who works for a secret U.S. agency and uses common items to finagle his way out of any sticky situation. The verdict: After a multiyear development process, CBS picked this reboot up to series in May, but scrapped the pilot entirely, save for Til and George Eads, who plays his sidekick, forcing the same compressed redevelopment process that doomed The Muppets last fall. Likewise, this mediocre pilot feels like something that MacGyver jerry-rigged using leftover elements from superior CBS shows. The problem is less with Til than everything else (which is probably what CBS was thinking in May when they ordered a complete overhaul around him), as not even the presence of Furious 7 director James Wan can energize the lethargic action scenes. Where’s Will Forte’s MacGruber when you need him? Is it good for your brand? Hawaii Five-O, a more successful reboot of a classic show, is on just an hour later, so it's best to wait for that. However, given how many objects MacGyver gets his hands on in a given episode, perhaps there’s a clever integration for the right brand. The plot: A surgeon who goes the extra mile for his patients (Dermot Mulroney) ends up at a new hospital run by billionaire Silicon Valley genius (Augustus Pew), who spares no expense to … go the extra mile for his patients. The verdict: Even TV’s most skillful creators drop the ball sometimes, which is what Jason Katims (executive producer of Friday Night Lights and Parenthood) seems to have done here. How else to explain how the man who regularly commanded tears at the drop of a hat on Parenthood and FNL has produced something that is surprisingly devoid of emotion or a single compelling character? The show makes CBS’ other listless medical drama, the Code Black, seem ER-caliber by comparison. For fun, take a drink every time Pew’s character says “revolution” and see if you’re still upright by the end of the first episode. Is it good for your brand? If you really want to partner with a Thursday night medical drama, you’re better off with Grey’s Anatomy and Chicago Med earlier in the night. The plot: When his outdoor magazine becomes digital-only, an adventure reporter (Joel McHale) is forced to stop traveling the globe and head into an office to oversee a group of millennial staffers. The verdict: It’s difficult to watch McHale interact with an ensemble of younger actors without thinking of his far superior Community. The show’s "Gen Xers Are from Mars, Millennials Are From Venus" conceit will appeal to CBS’ audiences, but certainly not millennials. I hope that in a future episode, McHale asks what happened to all of the magazine’s former staffers, or how this outdoor-themed website makes any money or generates any web traffic given that no one who writes for it actually knows anything about the topic. Is it good for your brand? The show will air after The Big Bang Theory, which should guarantee it one of the biggest 18-49 ratings among any freshman sitcom, so last year’s Life in Pieces buy should be just as effective here. Just don’t expect to reach any millennials; they won’t be watching. The plot: Kevin James is a newly retired cop who returns home to discover (much like Matt LeBlanc does) that parenthood is tough, especially when his kids have some big secrets. His school nurse wife (Erinn Hayes) wants him to work around the house, but he just wants to hang out with his friends. The verdict: I’m not sure why CBS didn’t just do a straight-up revival of James’ previous CBS sitcom, King of Queens, instead of something King of Queens-adjacent. It’s marginally better than Man With a Plan, but packed with all the same late-’90s/early-’00s sitcom tropes: schlubby guy and way-too-attractive wife (“you’re pretty awesome,” Hayes tells him late in the show, providing she’s a terrible judge of character) and predictable punchlines (the first prostitute reference comes two minutes in, for those keeping track, but the show does manage to save the first stripper mention until later in the episode). Still, James knows what his fans want, and he’s giving it to them here. Is it good for your brand? That depends: Was King of Queens good for your brand? There’s your answer. The plot: Michael Weatherly stars as a psychologist who runs a lucrative trial consulting firm, inspired by the early work of Dr. Phil McGraw, who is an executive producer. He can read the minds of a jury and help influence which way their verdict will go. 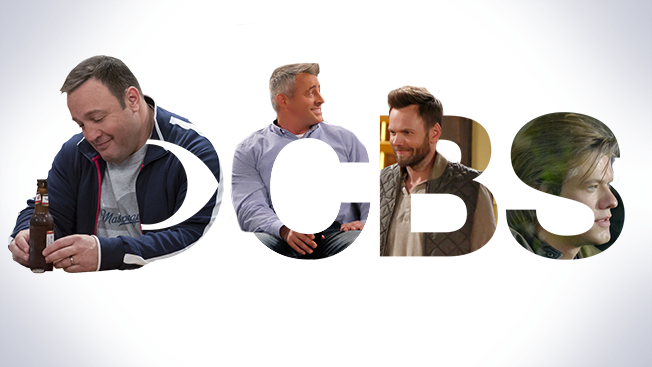 The verdict: This is the most on-brand of all the CBS shows this fall, which by default makes it the most promising new option for the network’s audience. It is what it is, and it does what it does, no matter how illogical the pilot's events may seem: What is the value in running 18 separate mock trails for a single case? Why does Bull, who is neither a lawyer nor a detective, do more actual investigating than any cop or lawyer? Why does a random juror seem to be as skilled at reading people as the man who for some reason has three Ph.D’s? But if you’re a fan of NCIS alum Weatherly, as many CBS viewers are, none of that will matter. Is it good for your brand? If your brand is fine with appearing on a show that is being marketed with the tagline, “He’ll get you off,” then you’re all set. And the show’s post-NCIS time slot should have most of those viewers sticking around to see what Weatherly is up to now.